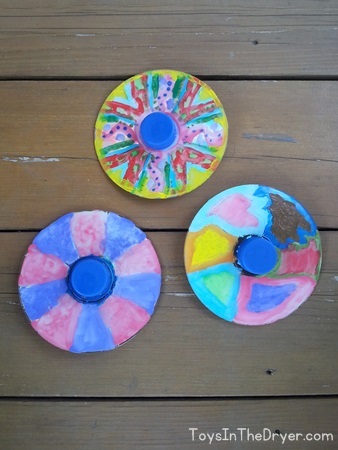 Not only did the girls like these CD spinning tops, they each made TWO of them! You can see their reactions in the video below. 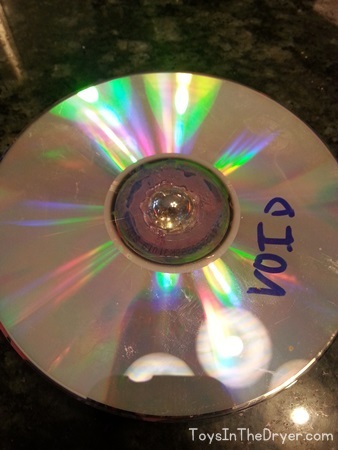 1) Start by painting one side of the CD. 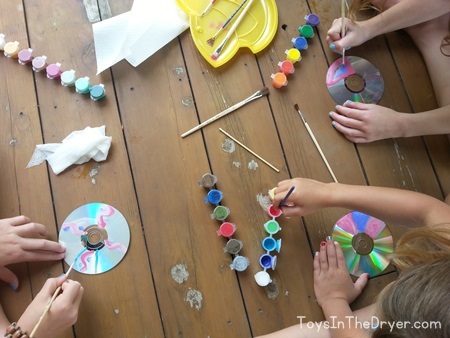 You can paint them however you want but bigger designs, such as chunks of color, work better. 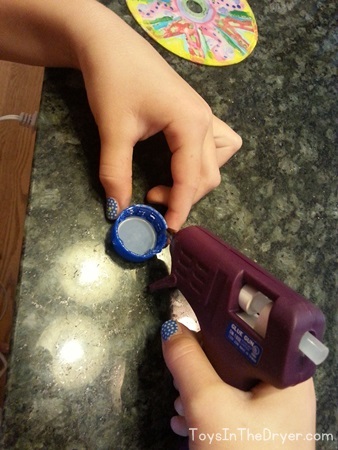 2) Once the paint is dry, glue the bottle top onto the center of the cd on the painted side. 3) Flip the CD over to the unpainted side and glue the marble into the center hole making sure 1/2 of the marble sticks up out of the hole. 4) You’re done! Have fun spinning these tops and watching your design do cool things! 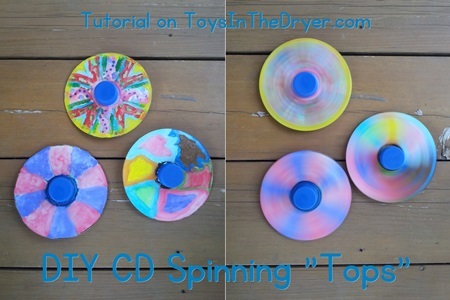 We were amazed how well these DIY CD spinning “tops” worked and how long they spun for. My girls spent at least an hour playing with them after they made them and they are still playing with them a few days later!